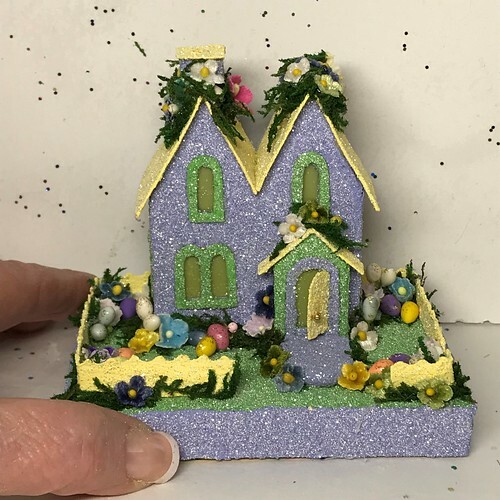 I plan to make enough of the mini Putz to have my own little, spring village. 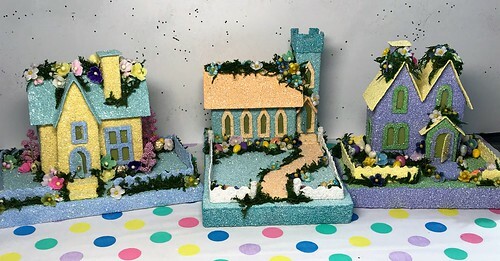 I just finished the periwinkle house on the right. This picture gives a sense of scale. There Putz are made at 80% of the size of my regular Putz houses. 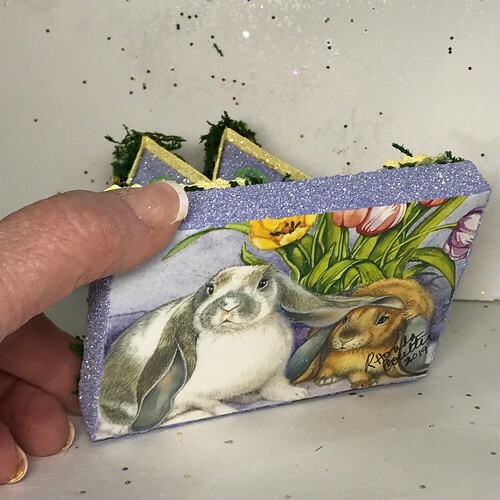 The greeting card I used to make the base features two little Easter bunnies. 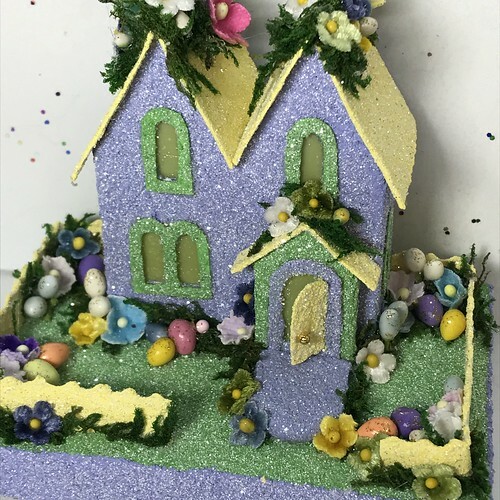 The Putz house is decorated with mulberry paper flowers, velvet flowers, preserved moss, and tiny Easter eggs I made from polymer clay. 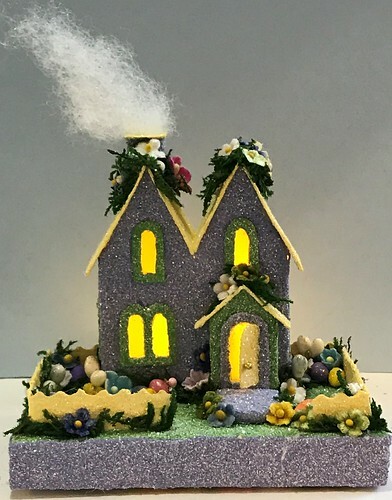 The Putz house includes an optional puff of smoke for the chimney. 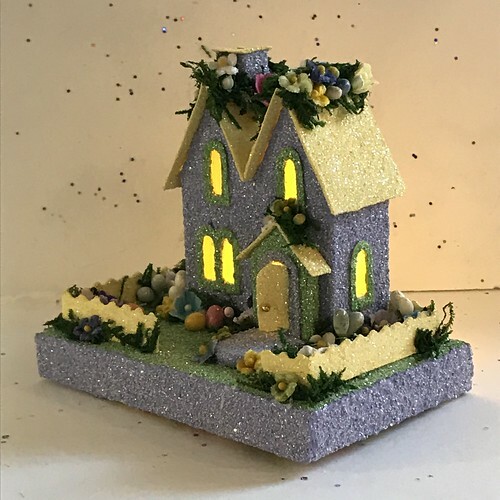 When the lights are on, the house comes to life. This entry was written by ~~Rhonda, posted on March 18, 2019 at 4:22 pm, filed under Uncategorized. Bookmark the permalink. Follow any comments here with the RSS feed for this post. Post a comment or leave a trackback: Trackback URL.